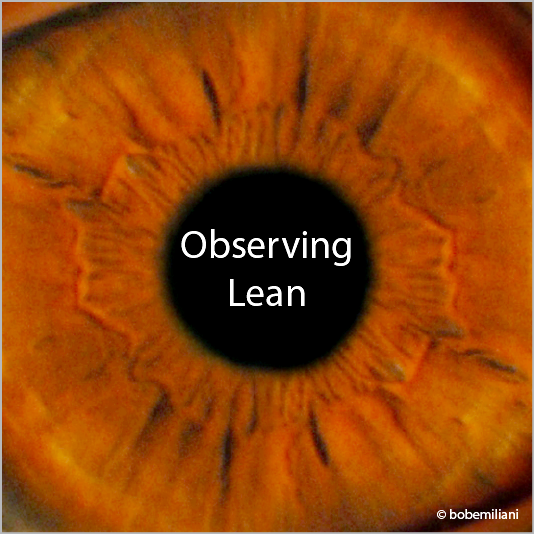 In Lean, we are taught to observe. Here is something that I observed in the years 1994-2007. For decades, people’s focus was on continuous improvement – what I call “The Toyota Half-Way.” The focus was so strong that people, especially employees, often experienced very bad outcomes such as layoffs due to the prevalence of Fake Lean. Then, in 2001, Toyota published the internal document, “The Toyota Way 2001,” which explicitly identified “Continuous Improvement” and “Respect for People” as its guiding principles. This principle has long been a part of the history of progressive management and its evolution. Jeff Liker’s book, The Toyota Way, was published in 2003, but it focused almost exclusively on Toyota’s “Continuous Improvement” principle (philosophy and methods). It was not until 2007 that the Lean community more broadly began to recognized the existence of the “Respect for People” principle in The Toyota Way graphic and more generally as a critically important principle in Lean management. It would be another six years before people really started to take an interest in the “Respect for People” principle. These two long, six-year delays surprised me. Around 2007, Lean was also becoming more widely recognized as a management system, rather than “tools for manager’s toolkit.” Concurrently, the importance of Lean leadership was also beginning to be recognized as critical to Lean success, due in part to the overall lack of Lean success in prior decades. The 10th anniversary celebration of the founding of the Lean Enterprise Institute in fall 2007 included workshops that identified Lean management and Lean leadership as poorly understood and should the be the subject of future focus. Acknowledging the existence and importance of the “Respect for People” principle, Lean as a management system, and Lean leadership were important and favorable developments, even if they were late in coming. I was hot on the trail of respect for people and Lean leadership in the mid-1990s, seeking to generate awareness of these important aspects. So, I wrote papers describing this in 1998, “Continuous Personal Improvement” and “Lean Behaviors,” and then the 2003 book “Better Thinking, Better Results,” which featured The Wiremold Company’s enterprise-wide Lean transformation and how senior managers brought the “Respect for People” principle to life. Thankfully, we are on better footing today due to the efforts of many people. However, we need to put greater effort into generating broader awareness among leaders of organizations that it is the “Respect for People” principle which enables “Continuous Improvement,” not the other way around. In other words, the “Respect for People” principle is not optional; it is required in order for people to continuously improve themselves and their work. What I would like to observe in the coming years is the demise of Fake Lean and the spread of REAL Lean, “Continuous Improvement” and “Respect for People.” But, it will take more than just new leadership behaviors to lead in a manner that is consistent with the “Respect for People” principle (see posts here, here, and here).